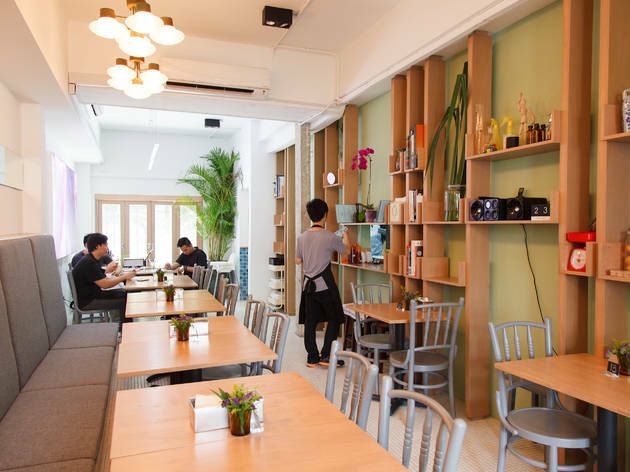 Note: The Pantry KL is now closed. 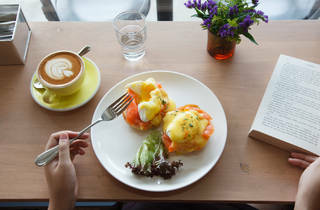 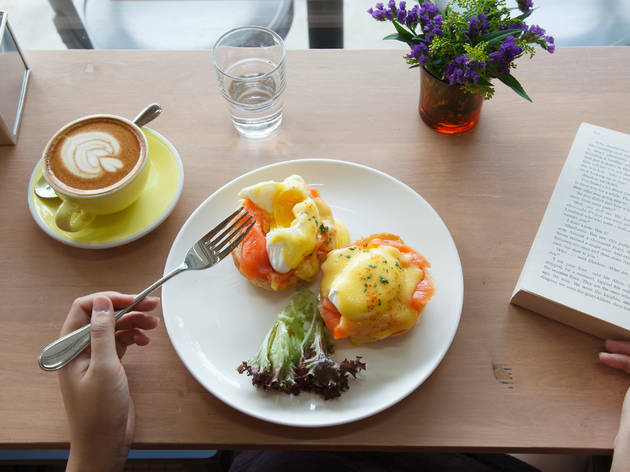 Newcomer The Pantry is quaint, draped with overhanging branches and decked out, ingeniously, with a dessert window display that lures passers-by with cakes, macarons and their signature rose and raspberry-glazed croissants. 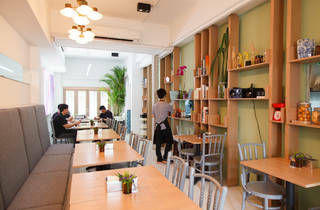 Inside is a laidback vibe suggestive of a long, lazy brunch ahead: If the breakfast menu showcases faithful staples like the eggs Benedict and a fry-up, then lunch is diving into the unknown, featuring soft-shelled crab burger with spicy gochujang aioli and togarashi (for the uninitiated, that’s your cue to lunge at the water jar), as well as the Moroccan Merguez lamb burger with onion marmalade. 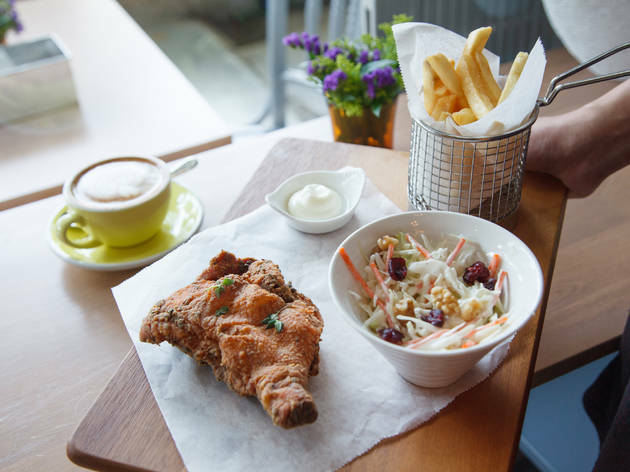 And who would’ve guessed that the small kitchen, helmed by a Cordon Bleu-trained chef, also harbours one of the crispiest buttermilk-cooked chicken chop in town? 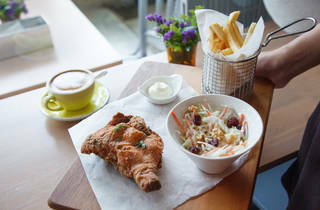 The Pantry still needs time to find their bearings but they have nailed the most important element of a café – their coffee, with beans sourced from PULP, is a huge draw to an already enticing arsenal.